Absolutely love this...color palette is gorgeous. Gorgeous! Love your color choices. 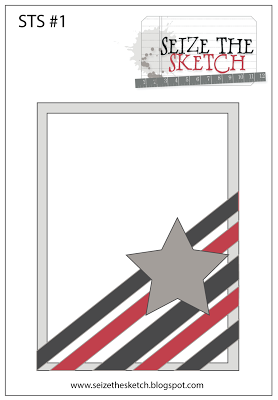 Thanks for joining us at Seize the Sketch for our first challenge. Fabulous card Maureen, I love those stamps! Whoa! AWESOME take on the sketch!!! I am in love with this card. 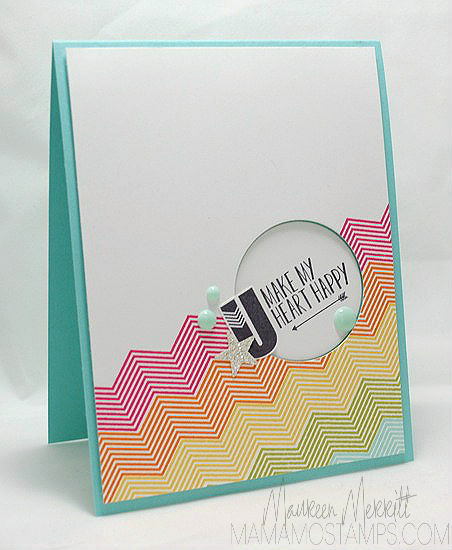 Love the rainbow chevrons, and your negative die cut focal point. Love your use of color and that star is simply perfect! Thanks for playing with us at Seize the Sketch! I thought I commented yesterday but I don't see it here? Hmmm...anyway, I love this!!! You really can't go wrong with a chevron rainbow! I love it! Wonderful use of the sketch! Love the rainbow colours and the star!